On snowy days, sometimes it’s fun to get out and play…or even take a trip somewhere you can pretend to be warm. But sometimes? Sometimes it’s nice to stay inside in pjs or yoga pants all day. 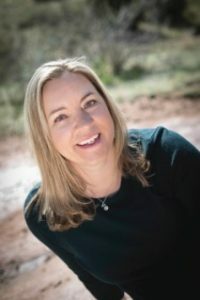 This might be one of my favorite things about Colorado – that you can take a day to stay inside while the snow piles up outdoors and the weather is frigid…and you can also know that probably the next day won’t be so bad and you’ll be able to get out again. We do not, generally speaking, get socked in by the weather for days on end. Thank goodness. 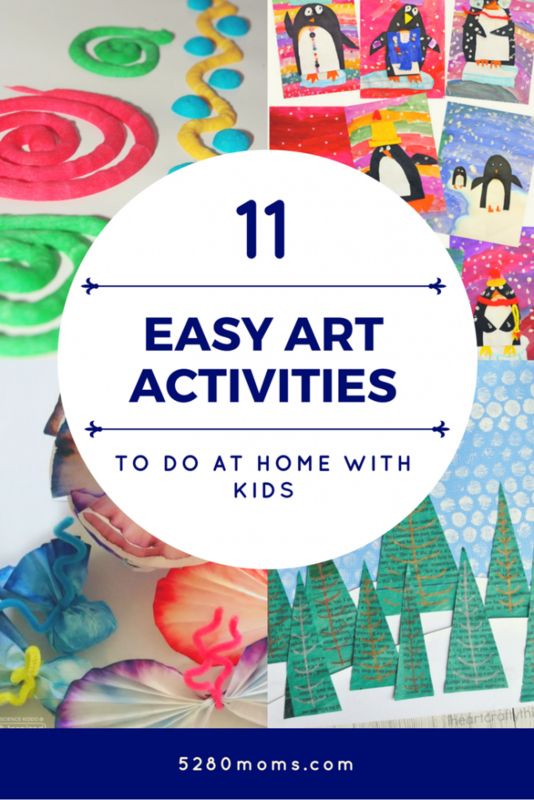 So if you’re staying indoors one day, but want something to keep kids entertained, try one of these easy art activities. I love them because they’re not complicated to do, and most of them use supplies you probably have on-hand already! Simple Syringe Painting for Preschoolers by Hands On As We Grow is a great activity for younger children (though I think even older kids would get a kick out of it). Find some old medicine droppers and syringes and let the kids go nuts! 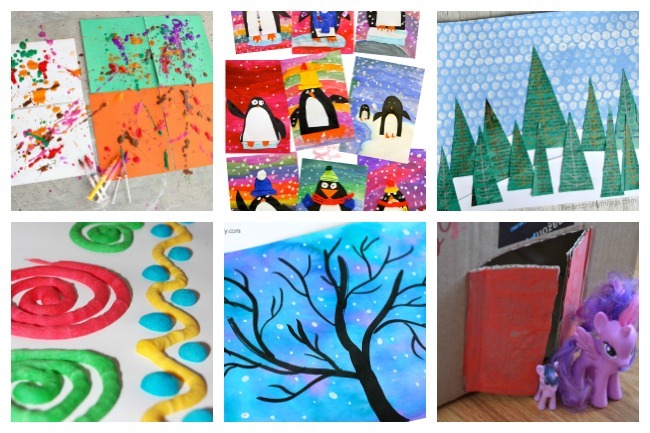 Tape Resist Art Projects by Happy Hooligans are always fun – kids love lifting the tape to unearth their creations at the end! This Marker Chromatography Science Experiment by B-Inspired Mama is both art and science combined to produce beautiful results. Starry Night Sky Art by Buggy and Buddy is a little more involved and requires some extra supplies like liquid watercolors, but the end pictures are just lovely. Homemade Microwave Puffy Paint by Happiness is Homemade seems almost to easy to be true…but it’s not! Texture Painting With Yarn by The Artful Parent is a fun way to change up a standard art activity. 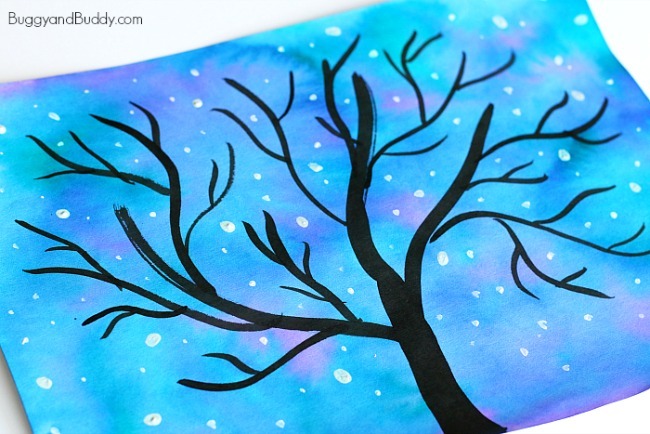 Easy Birch Tree Painting With Kids by The Educators’ Spin On It makes gorgeous, definitely framable art. 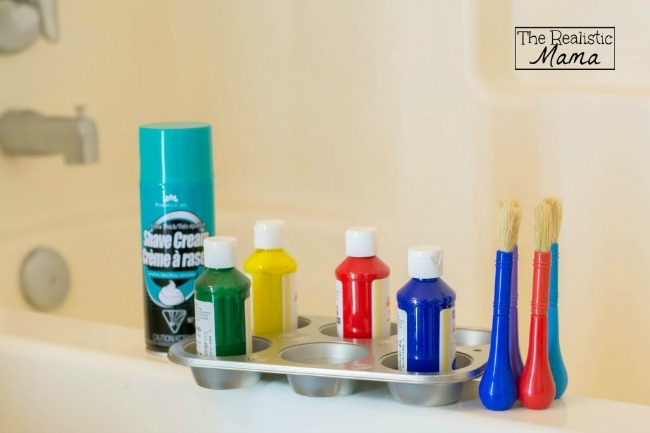 Homemade Bathtub Paint by The Realistic Mama is one of our favorites. Warm up with a nice hot bath…and a little art while you’re at it!